Each Muru Talisman design draws inspiration from cultures and mythologies that stretch right across the globe. 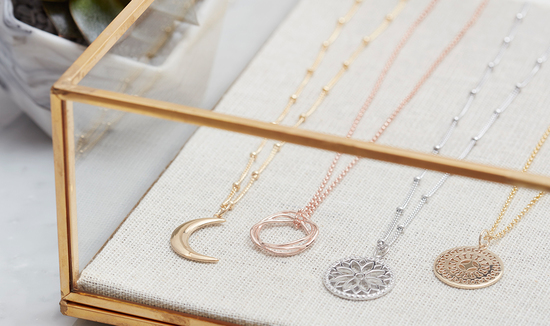 Muru’s trademark British style is the 3D nature and intricate detailing of each piece – giving you delicate designs that are beautifully created in sterling silver, gold vermeil and rose gold vermeil. The collection features earrings, necklaces and bracelets in recognisable and unique motifs. They can be worn on their own for a look of elegant simplicity or you can layer necklaces to create your own style. Our jewellery is worn by style conscious women and celebrities all around the world. Celebrity wearers include Laura Whitmore, Caroline Flack, Pixie Lott, Louise Thompson, Zoella and Jourdan Dunn. Each purchase comes complete with luxury packaging and a meaning card that explains the story behind the design. We have been creating feel-good jewellery since 2006! Muru was born out of our love of travel and creating memories… we explored South America, South East Asia and Japan and discovered exciting new cultures, each with their own unique beliefs, mythologies and superstitions. We now combine a taste of our travels in each meaningful Talisman, giving you unique jewellery creations that can be traced back through history. 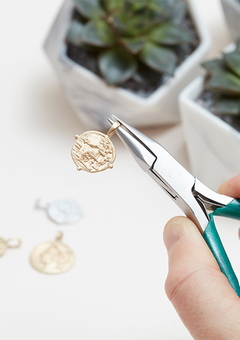 All Muru jewellery is designed at our studio in North London. Each tactile creation is beautifully weighted and lovingly hand made in sterling silver, 14ct gold vermeil or 18ct rose gold vermeil. 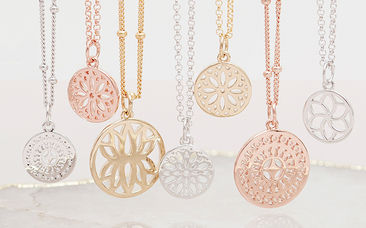 Our signature talisman necklaces are an iconic design that can be worn individually or layered up. All of our necklaces are interchangeable and collectible and come in a variety of chain lengths… giving you endless layering options! "My sister was very happy with her gift. The earring were perfect. Very beautifully made and good quality. She loved the hand written message tucked neatly into a beautifully written envelope. The packaging was equally beautiful. A very happy sister, thankyou. A perfect gift for her 50th birthday." 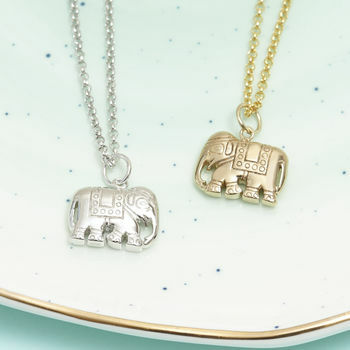 "stunning,delicate and actually marked like elephant.Recipient of necklace so thrilled." "This is better than the picture dipicts. I could not be more pleased and neither could the recipient. Really speedy delivery too!" "The necklace is beautifully made and is a fab piece to my jewellery collection. It comes in a beautiful box wrapped in a bow ready to be gifted. I also had a message hand written to give it that personalised edge. Would definitely recommend buying from here again. Thank you!!" 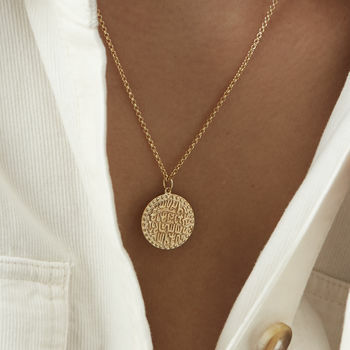 "Featured in Vogue France Roman Holiday Edit: Antique coin jewelry to wear all summer long!" "Silver Jewellery Collection of the Year!" ""The perfect gift for every occasion. 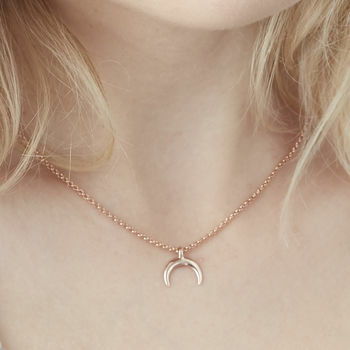 Whether it's positivity, strength, prosperity or harmony you need, Muru reminds you of your aspirations - wear classically on it's own or stylishly layered...""
Each item will come complete with luxury gift packaging and a meaning card to explain the sentiment behind the design. Every order is sent out in a plain brown box to ensure your gifts are kept secret! Don't hesitate to contact us if you need your order sooner, we will be happy to help.